to lay their hand on the head of the sin offering and slaughter it at the place of the burnt offering." The common person in Israel would bring a female goat as a sin offering. This is minor compared to a priest who needs to bring young bull (Leviticus 4:3) as a sin offering. The tribal leader is to bring a male goat, which would be more valuable than a female because of breeding purposes. If the common person is too poor to afford a female goat then a turtledove or a pigeon can be used (Leviticus 5:7). And, in extreme cases of poverty about 3 ½ pounds of fine flour can be used in place of the birds (Leviticus 5:11-13). These alternatives were made available because the sin offering was a requirement and the Law did not discriminate against the different classes. Everyone had an opportunity to bring the required sin offering. The person would bring their goat to the tabernacle where a priest would assist them. By the altar that sat in front of the tabernacle the person bringing the sin offering would lay their hand on the head of their goat as a sign of identification with the goat that was then slaughtered by the altar. Not speaking up when they hear false charges made publicly concerning something that they personally saw or know about. The person would confess these sins as they laid their hand on the offering. Hotam (Hb) – Signet Ring (Eng) – hotam is the Hebrew word that means "affix a seal" and "seal shut." Hotam is translated into English as "seal" or "signet ring." 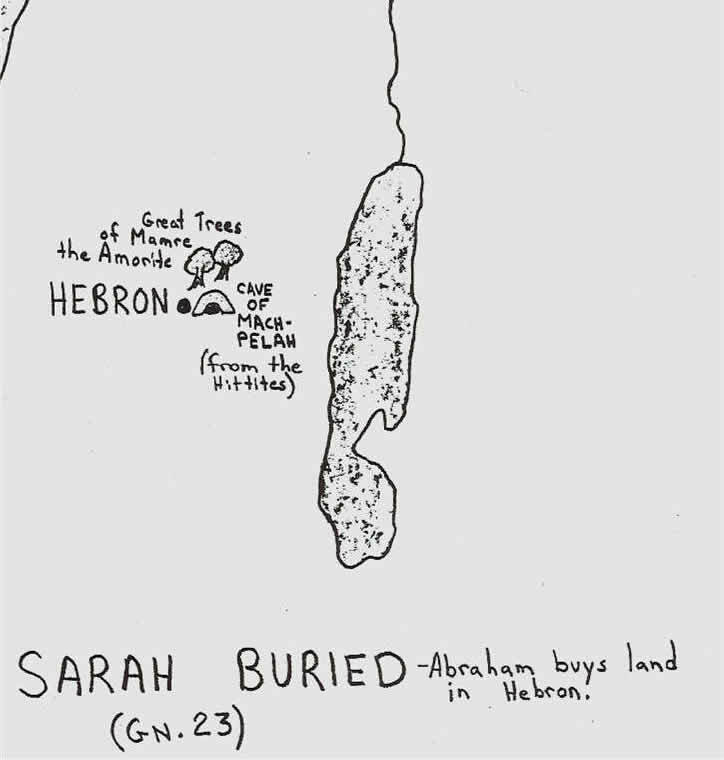 A seal was a small cylinder stone with an engraving that served as a personal impression. A signet ring was a ring with an engraving in the stone of the ring. To make a mark in clay (or, wax) the seal would be rolled over the clay and the signet ring would be pressed into the clay. Flanked on three of the four sides with multistoried rooms and chambers for meetings, storage and various other functions. 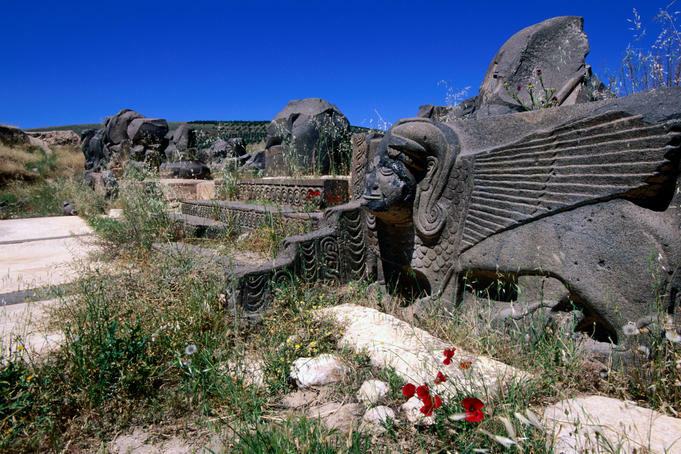 The ‘Ain Dara temple was built around 1300 BC and continued in use unto 740. 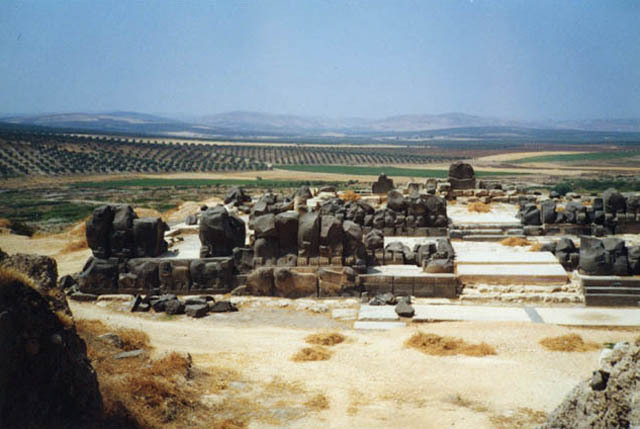 Solomon’s Temple was built around 960 and continued in use until 586 BC. 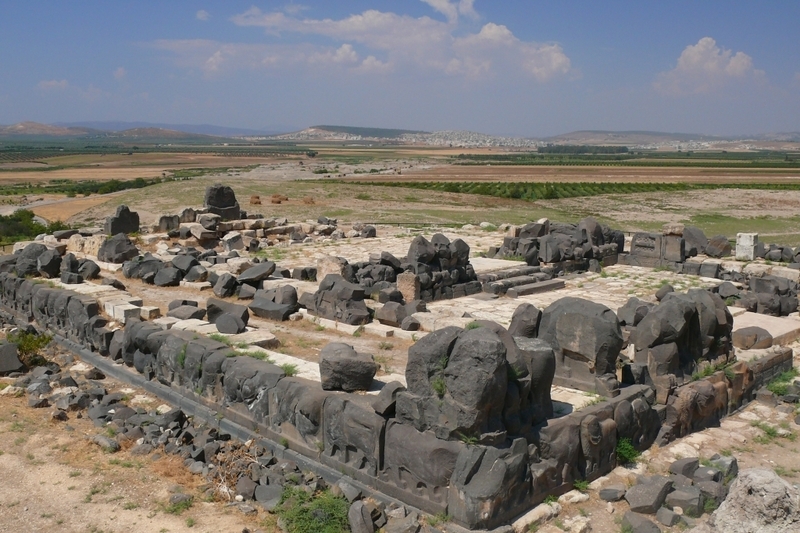 Bottom line: The existence of the ‘Ain Dara temple as it is seen today proves that the Biblical description of Solomon’s Temple is not fantasy, impossible or a literary invention by a later generation. Am I diligent in making plans? Do I prepare for the future? Do I take advantage of the time I have been given? I will be diligent in organizing my time and productive in my actions. "Go to the ant, you sluggard; consider its ways and be wise! It has no commander, no overseer or ruler, yet it stores its provisions in summer and gathers its food at harvest." 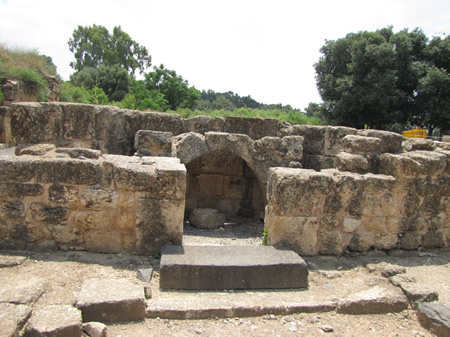 Details of King Herod Agrippa II's palace in Banais. 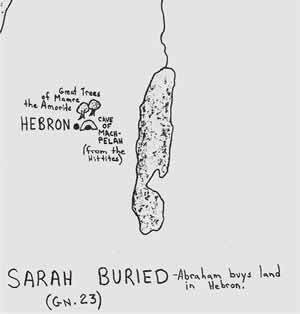 (click on image for larger size) Details on a map of Sarah's burial spot and the Cave of Machpelah where the tombs of the Patriarchs is today.